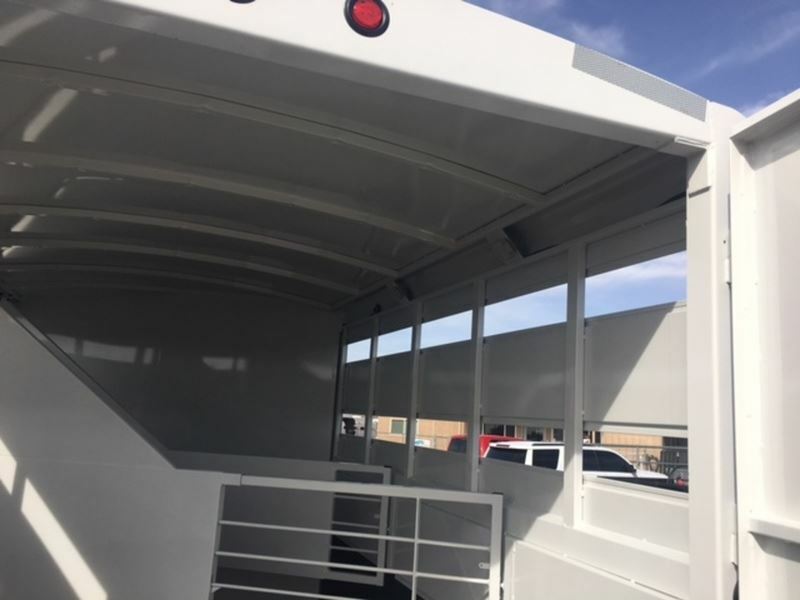 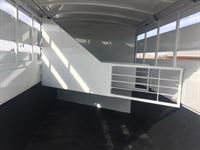 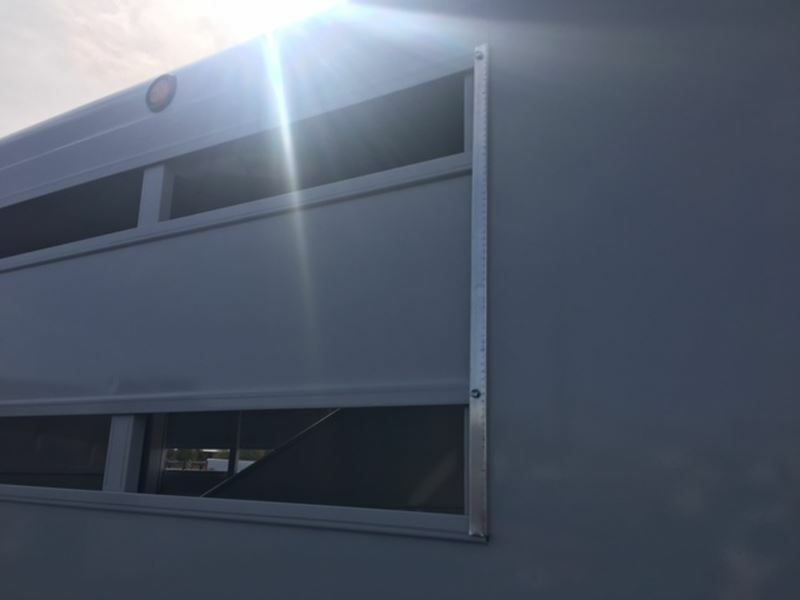 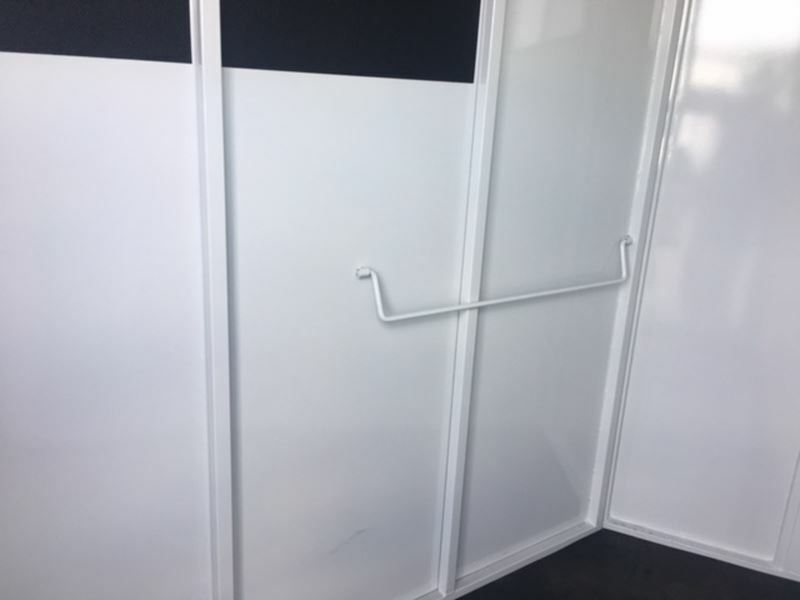 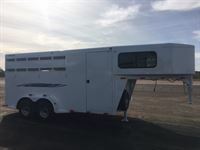 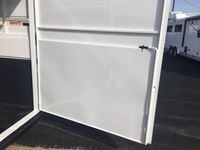 2018 Titan 3 Horse Avalanche gooseneck. 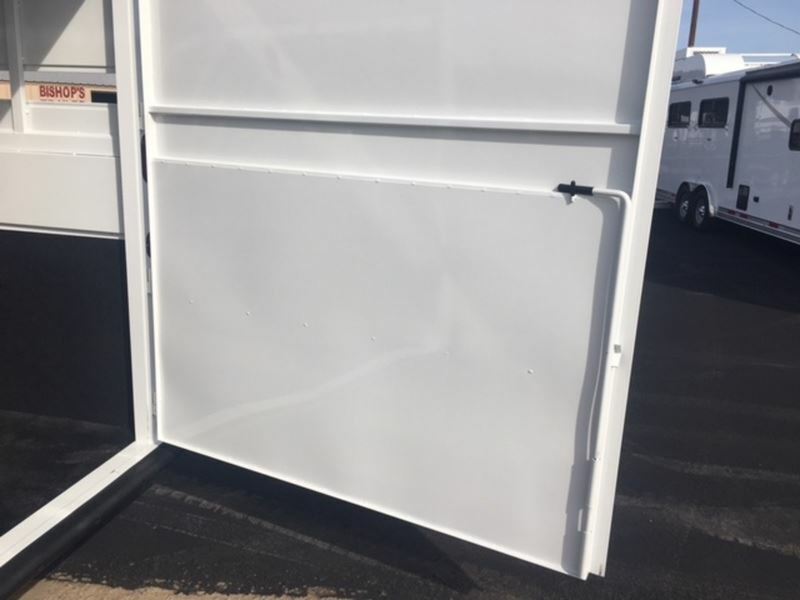 Trailer is 6'8"wide, 7'tall, and 16' on the floor. 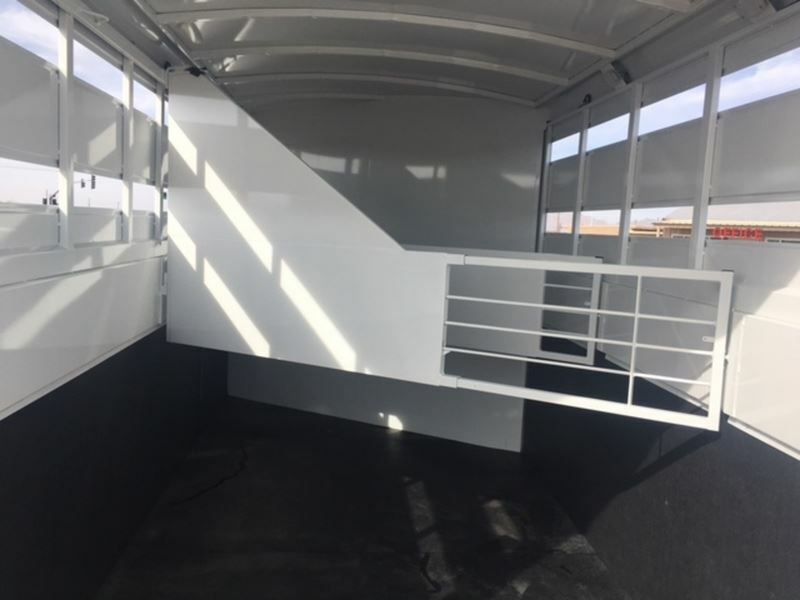 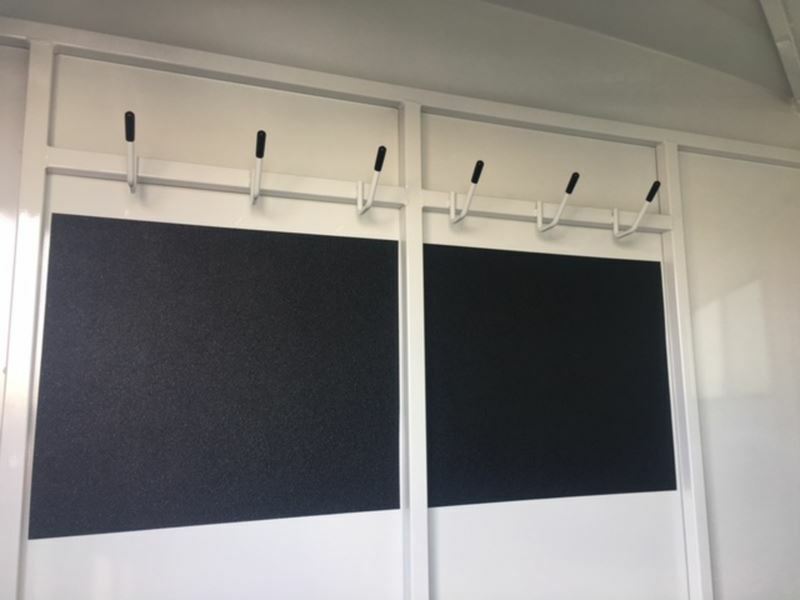 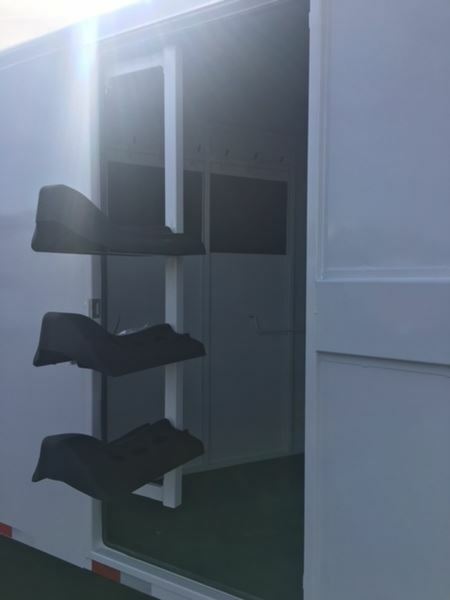 Trailer features include open sides with plexiglass track, large front dressing room,3 tier swing out saddle rack, blanket bars, bridle hooks, 36" tack door, spring loaded dividers, double walled, floor mats & spare, rubber rear bumper, big back door, LED running lights, and brakes on all four wheels. 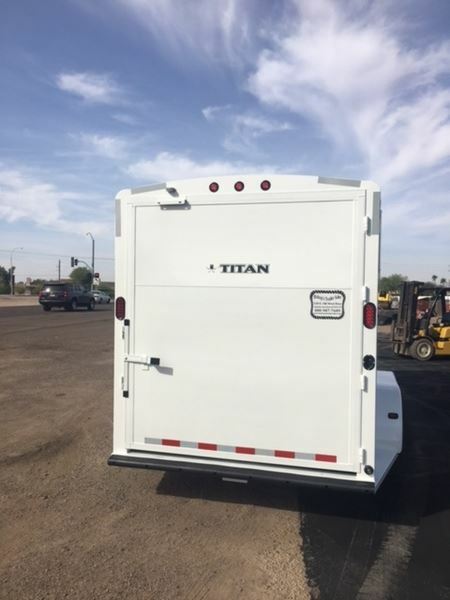 Why you should choose a Titan over any other brand.....2 5/16 ball, 24" diamond plate on front, battery break away, LED lights, torsion axles, brakes on all 4 wheels, easy lube hub, welded on fenders, welded on greaseable hinges, spring loaded dividers, rubber rear bumpers, heavy duty swing out saddle rack, welded on bridal hooks, 36" tack doors. Best of all 5 year structural warranty & 5 year paint warranty. 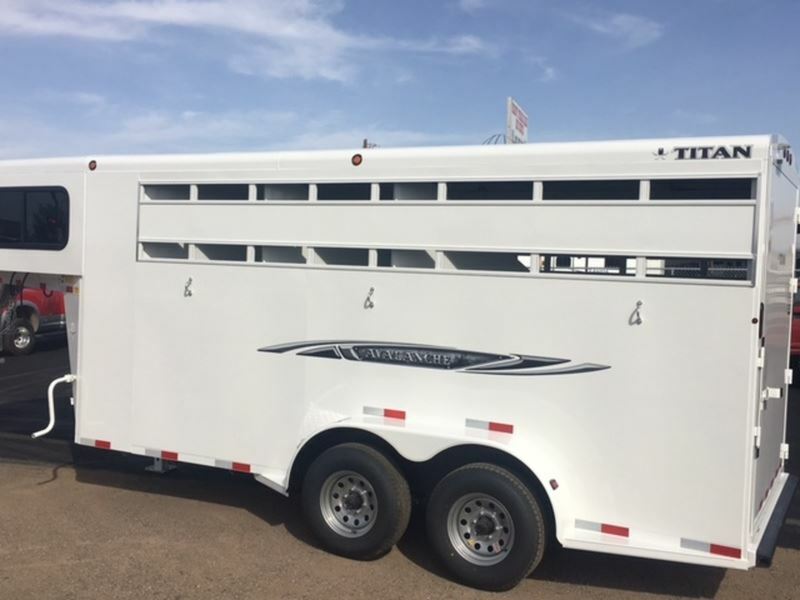 Titan has been in the trailer building business 29 years and still going strong.